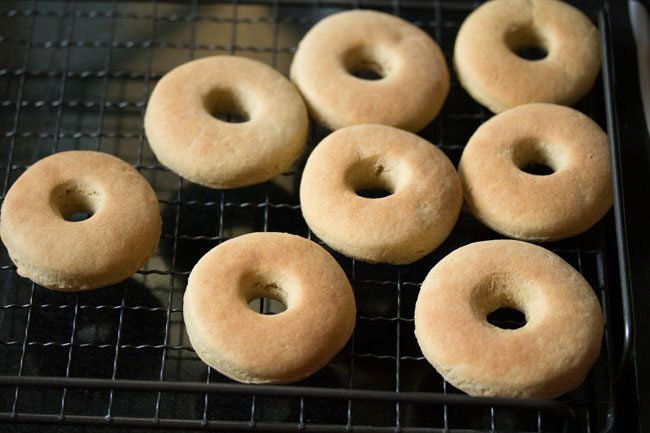 eggless doughnut recipe - healthy versions of donuts made with whole wheat flour (atta) and are baked. 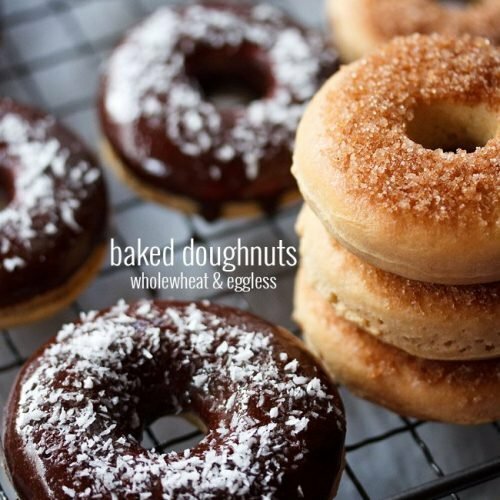 eggless doughnut recipe with step by step photos – delicious and healthy version of donuts made with whole wheat flour (atta) and are baked. 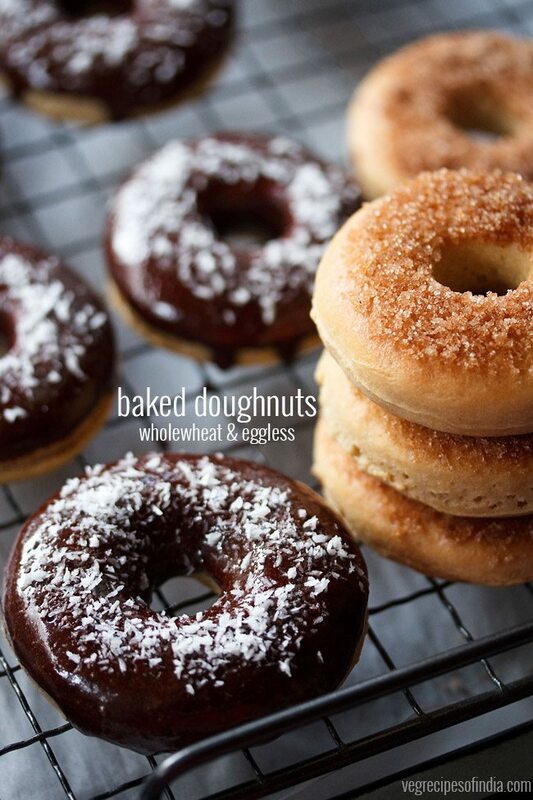 i have been getting recipe requests for doughnuts from a long time be it baked, fried or a no yeast version. for now i am sharing this healthy baked version. 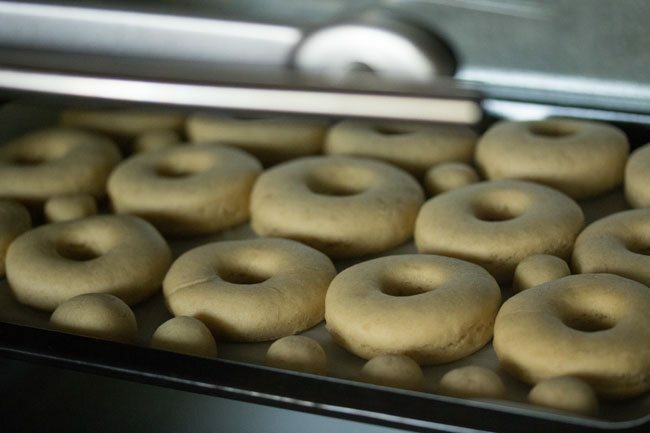 the doughnuts are made with whole wheat flour and also not much sugar is used in the dough. there is a faint denseness in the texture due to the whole wheat flour, which i feel is fine for a whole wheat doughnut. in the post, i have shared chocolate glaze as well as the cinnamon+sugar sprinkle recipes too. 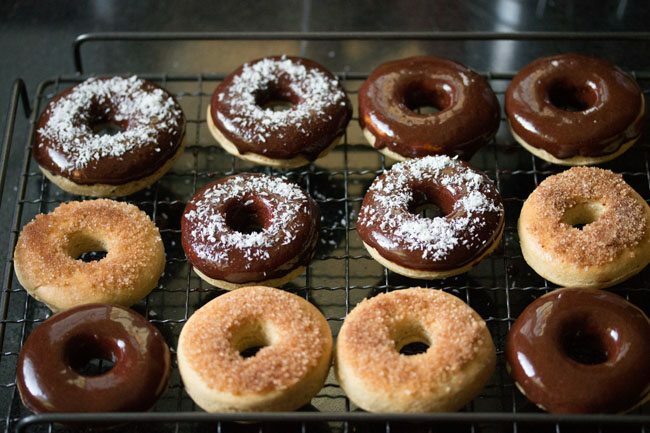 you can choose to glaze these doughnuts with your favorite glaze recipe. 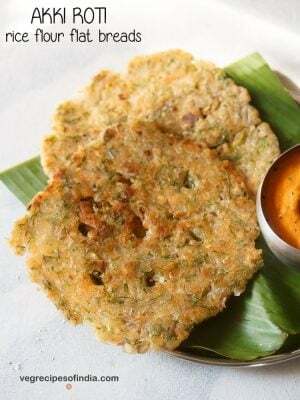 in the recipe i have used ingredients which are easily available in most indian cities and towns. doughnuts are made with rich sweet dough. 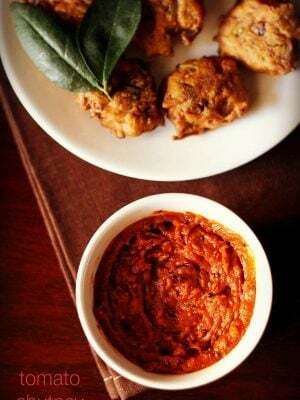 here i used my garlic bread rolls dough recipe and made some changes to the original recipe. milk and butter are added to give some richness in the dough. if you are allergic to milk or are a vegan, then you can use almond milk and oil. yeast is used in this recipe, so do use a good quality yeast. i have added instant yeast, but you can also use dry active yeast or fresh yeast. eggless chocolate cake in pressure cooker. first warm ½ cup milk and take it in a mixing bowl or pan. do note that the milk should be warm and not hot. 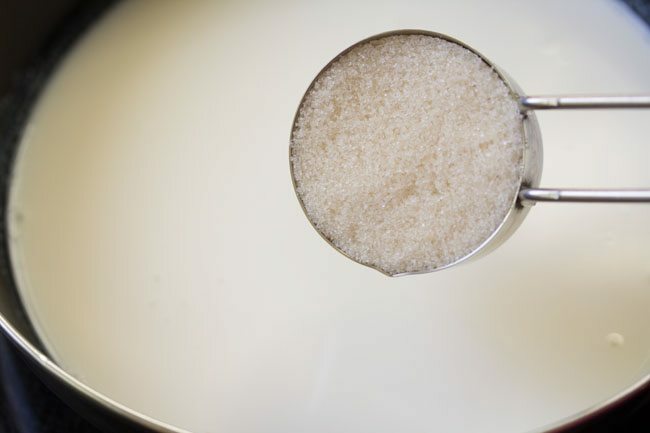 then add ¼ cup sugar and ½ teaspoon instant yeast. mix very well. next add 1 cup whole wheat flour (atta). mix very well with a spoon. cover the pan with a lid or kitchen towel and allow to leaven for 20 to 30 minutes. after leavening, you will see that the dough mixture has become stringy and has air pockets in it. then add the remaining 1 cup of whole wheat flour, 3 tablespoons butter, 1 teaspoon vanilla extract and a pinch of grated nutmeg. 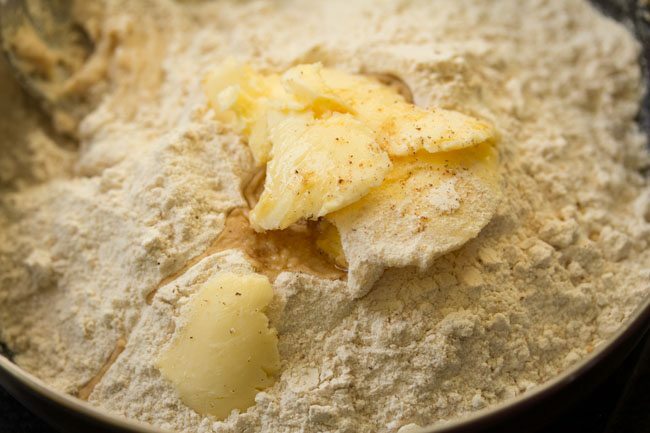 mix first and then begin to knead the dough. add ¼ cup more of the milk (milk can be warm or at room temperature). add milk as required while kneading. 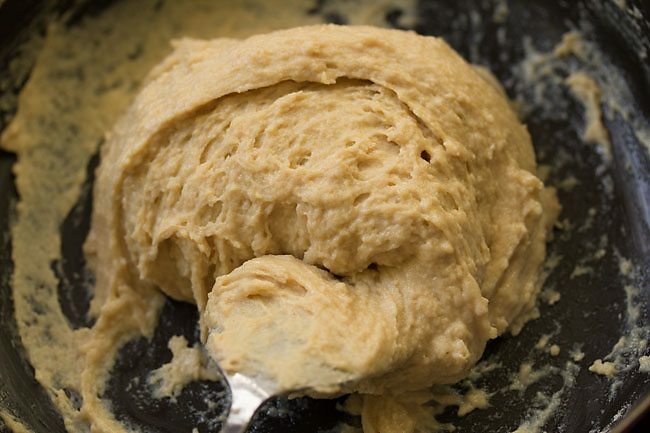 knead to a smooth, soft and supple dough. 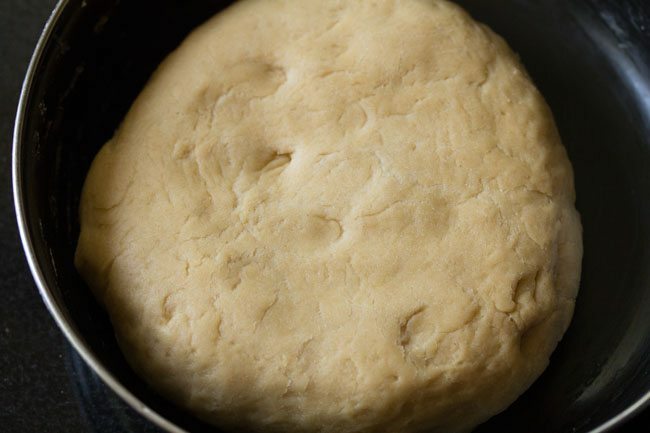 the dough should be softer than a chapati dough. if dough feels hard then add more milk. 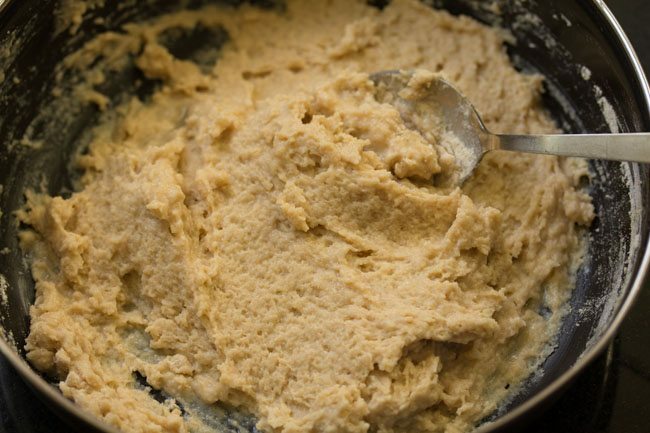 when you add more milk, it looks like the dough has become sticky and is covered with milk, but continue to knead and the dough will absorb the remaining milk. do note that the dough has to be soft and supple. if the dough is not soft, then the doughnuts will also not have a soft texture. overall i used ¾ cup milk. 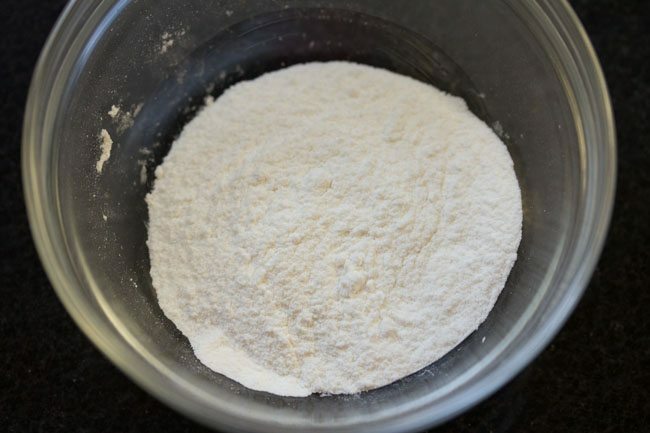 depending on the quality of flour, you can add ¾ to 1 cup milk or more if required. cover the bowl and keep the dough to leaven for 45 minutes to 1 hour. the dough will double. 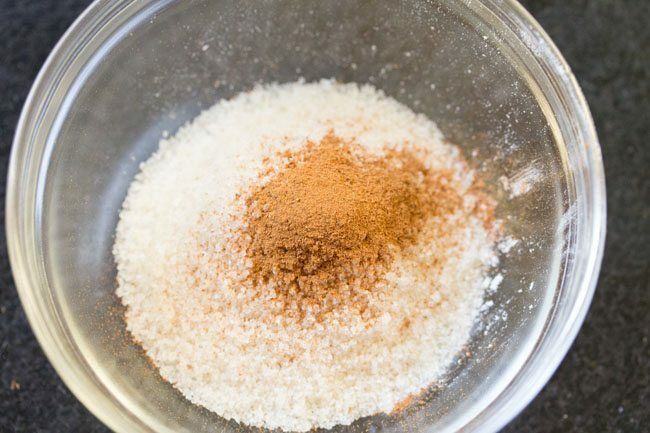 if using dry active yeast or fresh yeast, then keep for 1:30 minutes to 3 hours. timing will vary depending on the temperature conditions. warmer temperatures are more conducive for leavening and fermentation. while donut dough is getting leavened, we can prepare the glaze. 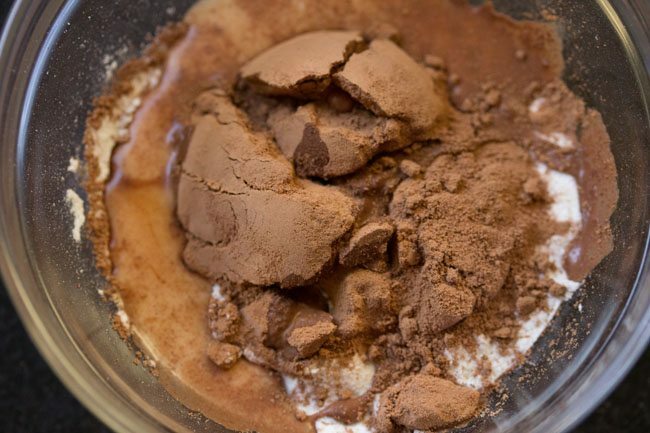 in a bowl, take 3 tablespoons powdered sugar or icing sugar, 2 tablespoons cocoa powder, ¼ teaspoon vanilla extract and 4 tablespoons milk. mix very well and keep aside. if the glaze looks very thick, then you can add 1 tablespoon more milk. 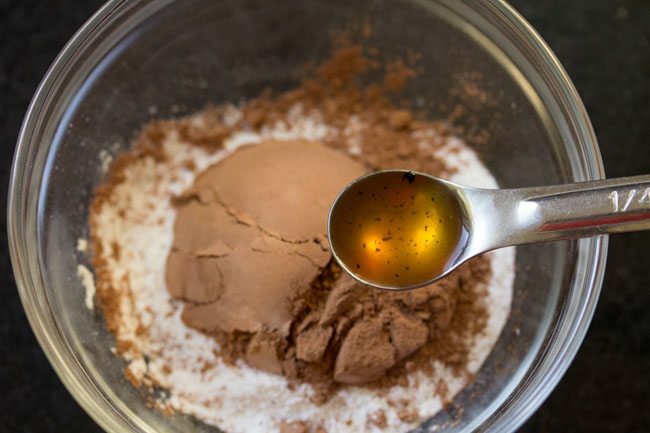 take 2 tablespoons fine or super fine sugar or powdered sugar or icing sugar in a bowl or plate along with ½ teaspoon cinnamon powder. mix very well and keep aside. 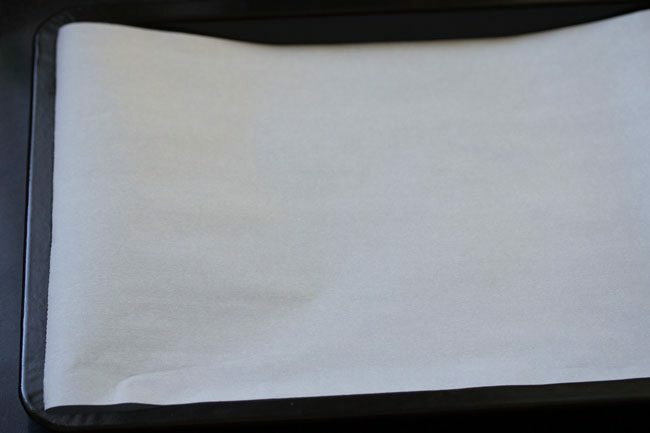 line a tray with parchment paper or butter paper. alternatively you can grease the tray very well with oil or butter. gently and lightly knead the dough once more. 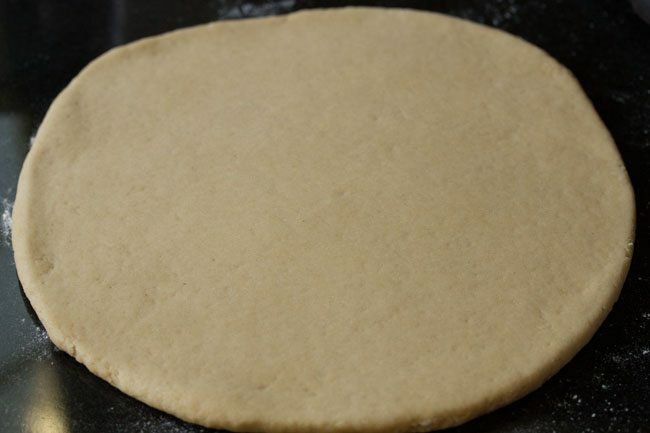 then sprinkle some flour and roll the entire dough to a circle having ½ to ¾ inch width. keep and press the doughnut cutter on the dough. do this on all the rolled dough. 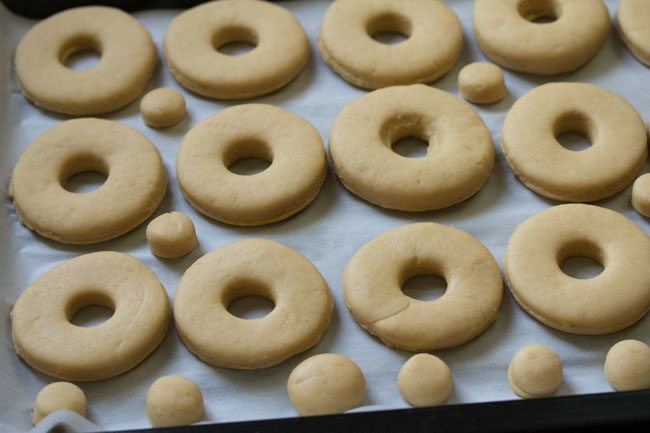 if you do not have a dough nut cutter, then take a lid and press it on the dough. then take a small lid and keep in the centre of the cut round dough. remove the small centre piece and you get the doughnut shape. remove gently and keep the doughnuts on the lined tray. also keep the small centre pieces. cover and allow for the second rise for 15 to 20 minutes. with dry active or fresh yeast, keep for 30 minutes to 45 minutes. before baking doughnuts, preheat the oven with both top and bottom heating elements on at 180 degrees celsius. keep the tray in the centre. bake doughnuts for 15 to 25 minutes. timing will vary depending on the oven size, make and actual temperature in the oven. bake till the tops are golden. also do not over bake doughnuts or else the texture becomes dry. remove the donuts and keep on wired rack. if some donuts have got baked and some are still not, then remove the ones which are baked and keep on a wired rack. this what i did for some of the donuts which had got baked faster. no need to warm or cool the donuts. proceed to the next step of glazing. 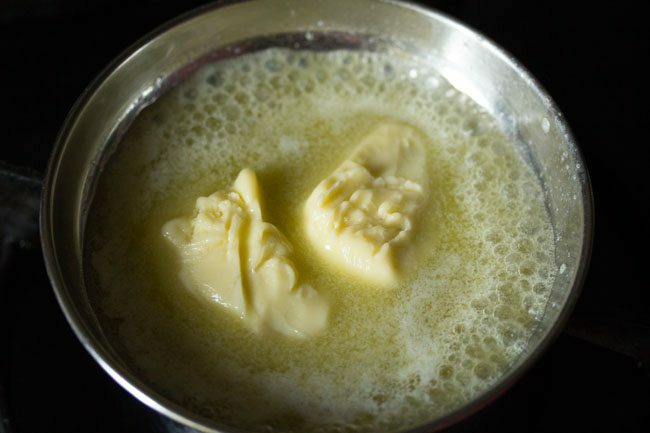 melt 2 tablespoons butter in a steel bowl or a steel plate by keeping it on a low flame on the stove top. do not touch the plate or bowl as it will be hot. place the doughnut upside down in the melted butter. 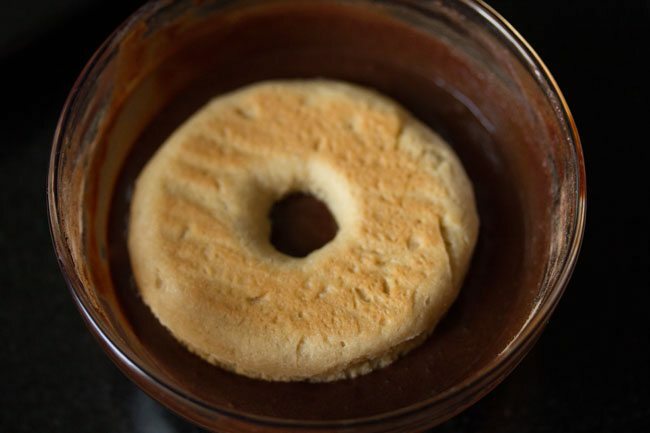 then place the buttered side in the cinnamon+sugar mixture and gently move the donut on the sugar mixture so that the sugar+cinnamon sticks to the butter. remove and keep doughnut on the wired rack. for the chocolate glaze, place the doughnut upside down in the glaze. remove and keep the doughnuts on wired rack. i also sprinkled some desiccated coconut on a few chocolate donuts. optional step. 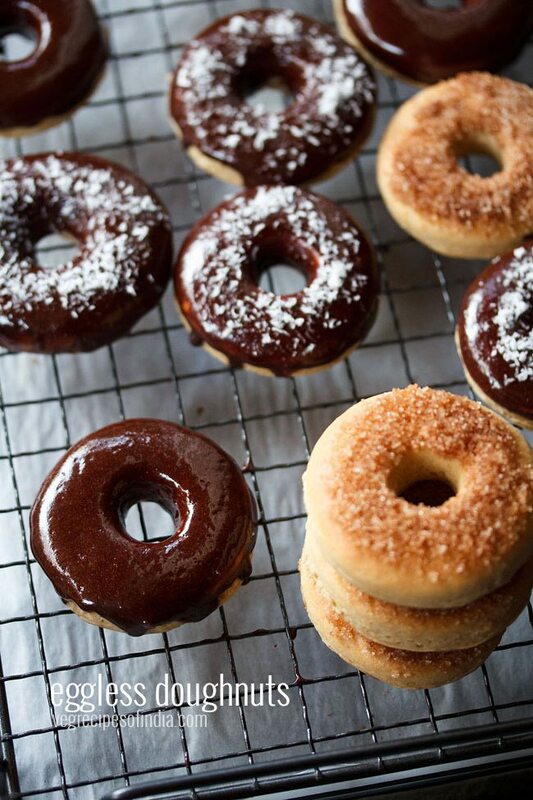 serve doughnuts warm or at room temperature. leftovers can be refrigerated. they will become dense once refrigerated. so while serving, you can warm doughnuts in an oven or microwave oven or let them come to room temperature. 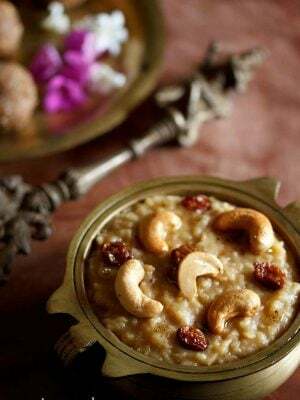 1. first warm ½ cup milk and take it in a mixing bowl or pan. do note that the milk should be warm and not hot. 2. then add ¼ cup sugar. 3. next add ½ teaspoon instant yeast. mix very well. 4. next add 1 cup whole wheat flour (atta). 5. mix very well with a spoon. 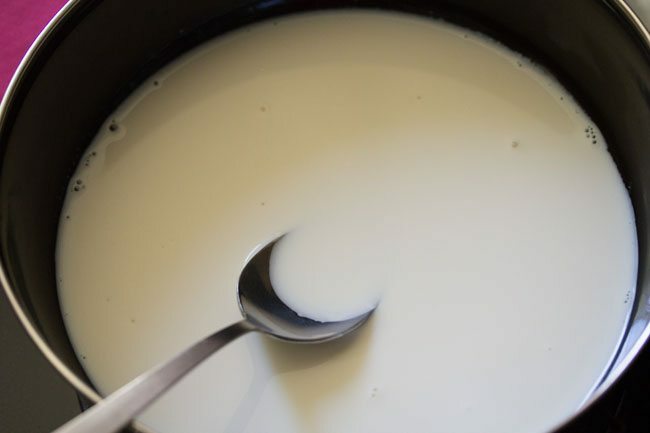 if the mixture looks very thick, then you can add some more warm milk or milk which is at room temperature. cover the pan with a lid or kitchen towel and allow to leaven for 20 to 30 minutes. since its cold season, i kept the pan in the sun. 6. after leavening, you will see that the dough mixture has become stringy and has air pockets in it. 6. then add the remaining 1 cup of whole wheat flour, 3 tablespoons butter, 1 teaspoon vanilla extract and a pinch of grated nutmeg. 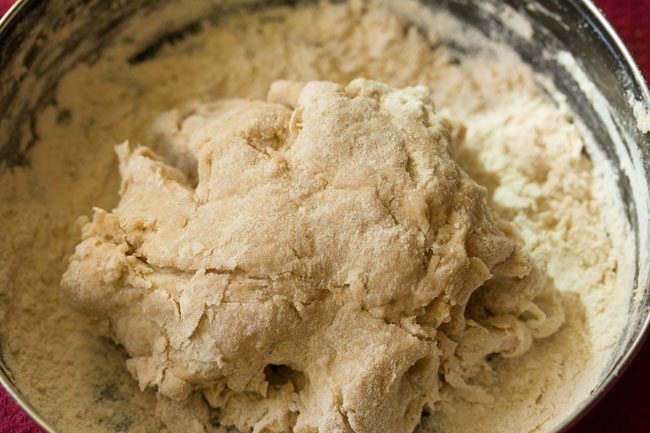 7. mix first and then begin to knead the dough. add ¼ cup more of the milk (milk can be warm or at room temperature). add milk as required while kneading. 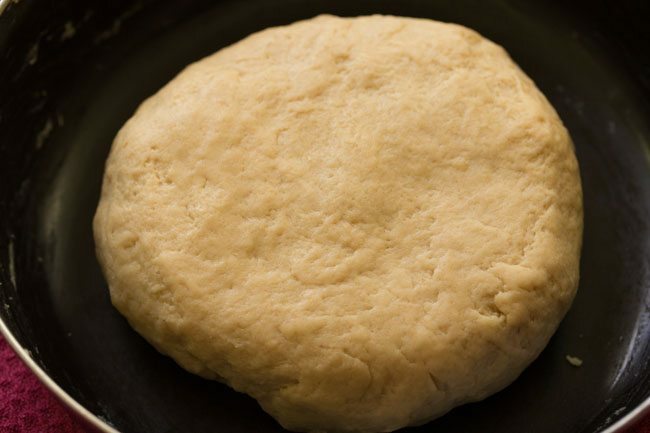 8. knead to a smooth, soft and supple dough. the dough should be softer than a chapati dough. if dough feels hard then add more milk. 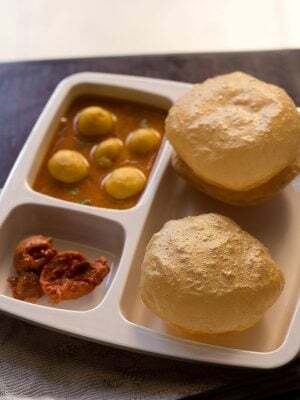 when you add more milk, it looks like the dough has become sticky and is covered with milk, but continue to knead and the dough will absorb the remaining milk. do note that the dough has to be soft and supple. if the dough is not soft, then the doughnuts will also not have a soft texture. overall i used ¾ cup milk. 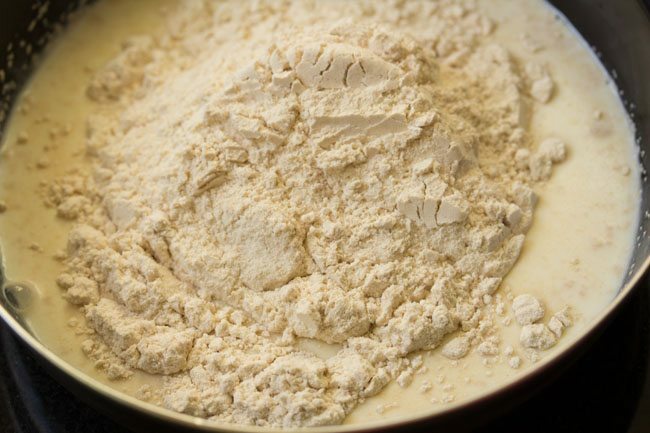 depending on the quality of flour, you can add ¾ to 1 cup milk or more if required. 9. cover the bowl and keep the dough to leaven for 45 minutes to 1 hour. the dough will double up. i kept in the sunlight. 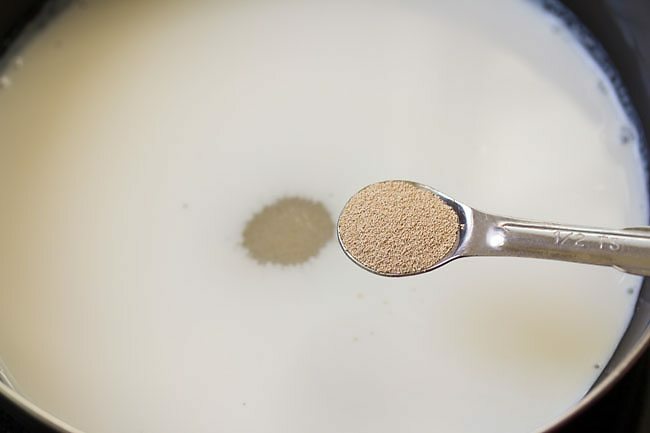 if using dry active yeast or fresh yeast, then keep for 1:30 minutes to 3 hours. timing will vary depending on the temperature conditions. warmer temperatures are more conducive for leavening and fermentation. while donut dough is getting leavened, we can prepare the glaze. 1. take 3 tablespoons powdered sugar or icing sugar. 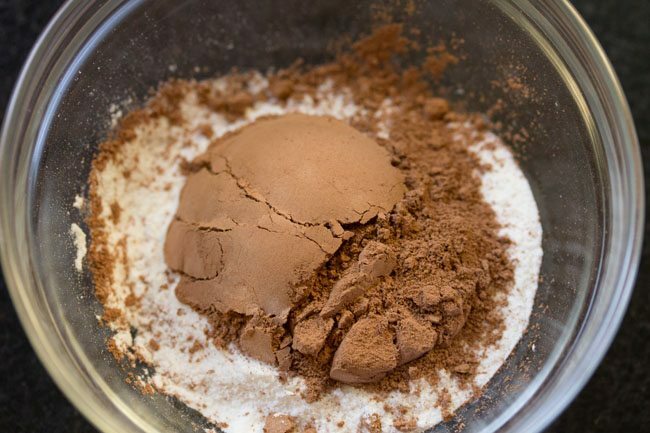 2. add 2 tablespoons cocoa powder. 3. next add ¼ teaspoon vanilla extract. 4. add 4 tablespoons milk. 5. mix very well and keep aside. if the glaze looks very thick, then you can add 1 tablespoon milk. 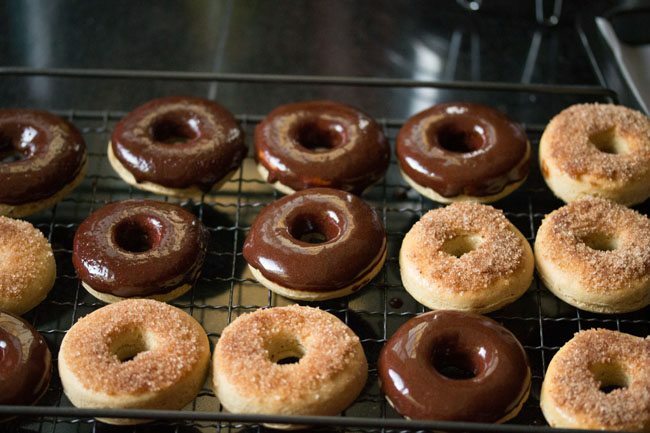 both the chocolate glaze and the cinnamon sprinkle recipes are for the entire batch of donuts. if you plan to do both, then halve the recipe ingredients. 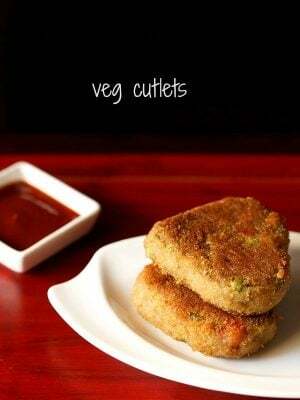 if there is any leftover, then use. like leftover melted butter can be used in various recipes. 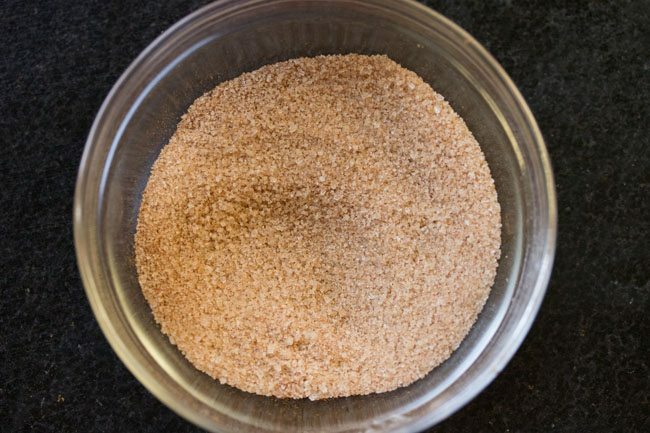 leftover cinnamon sugar can be added to tea or coffee. 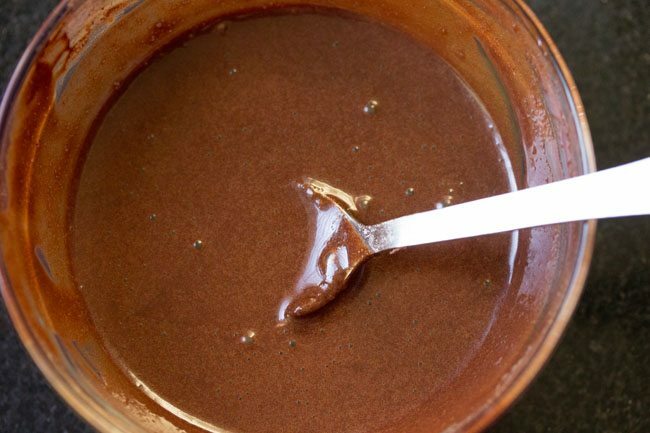 leftover chocolate sauce can be spread on toasts or chapatis. 1. take 2 tablespoons fine or super fine sugar or powdered sugar or icing sugar in a bowl or plate. then add ½ teaspoon cinnamon powder. 2. mix very well and keep aside. 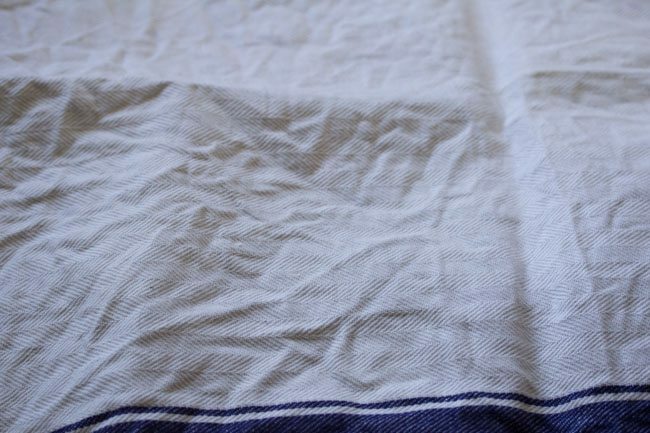 3. line a tray with parchment paper or butter paper. alternatively you can grease the tray very well with oil or butter. 4. gently and lightly knead once more. 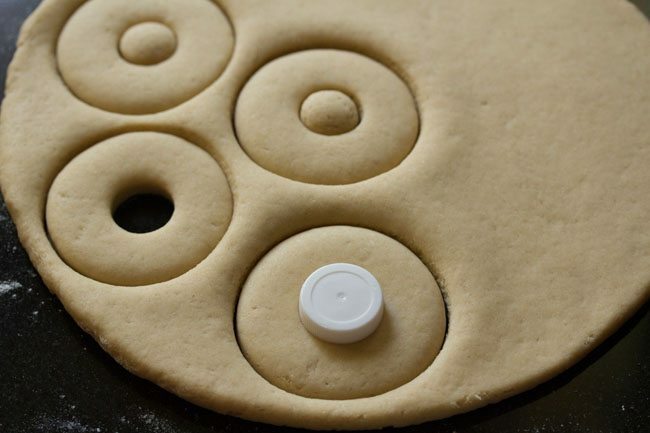 then sprinkle some flour and roll the entire dough to a circle having ½ to ¾ inch width. i kept ½ inch width thickness in the rolled dough. 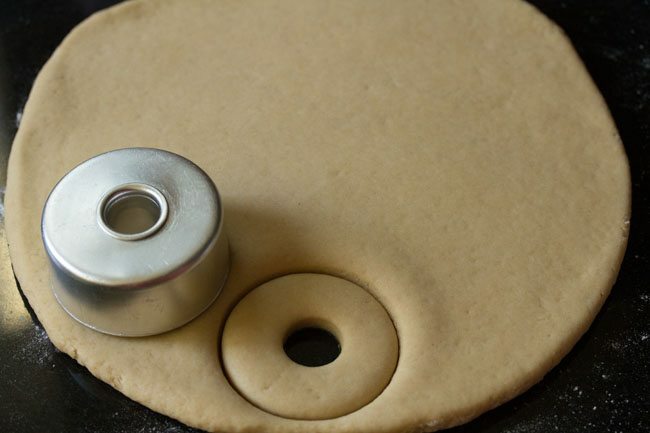 5. keep and press the doughnut cutter on the dough. do this on all the rolled dough. 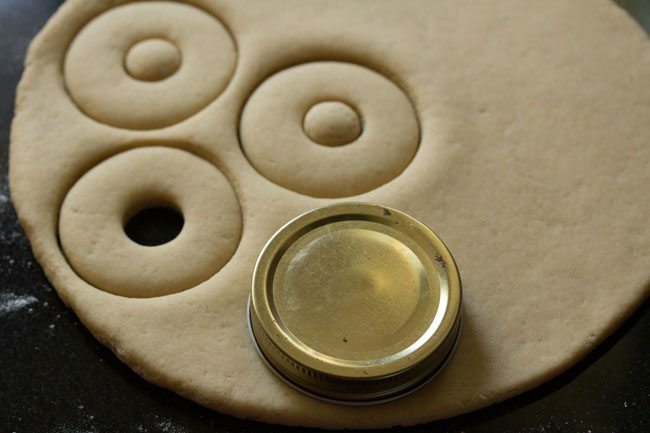 6. if you do not have a dough nut cutter, then take a lid and press it on the dough. 7. then take a small lid and keep in the centre of the cut round dough. remove the small centre piece and you get the doughnut shape. 8. remove gently and keep the doughnuts on the lined tray. also keep the small centre pieces. 9. cover and allow for the second rise for 15 to 20 minutes. with dry active or fresh yeast, keep for 30 minutes to 45 minutes. 10. before baking doughnuts, preheat the oven with both top and bottom heating elements on at 180 degrees celsius for 15 minutes. keep the tray in the centre. bake doughnuts for 15 to 25 minutes. timing will vary depending on the oven size, make and actual temperature in the oven. bake doughnuts till the tops are golden. also do not over bake them or else the texture becomes dry. 1. melt 2 tablespoons butter in a steel bowl or a steel plate by keeping it on a low flame on the stove top. do not touch the plate or bowl as it will be hot. 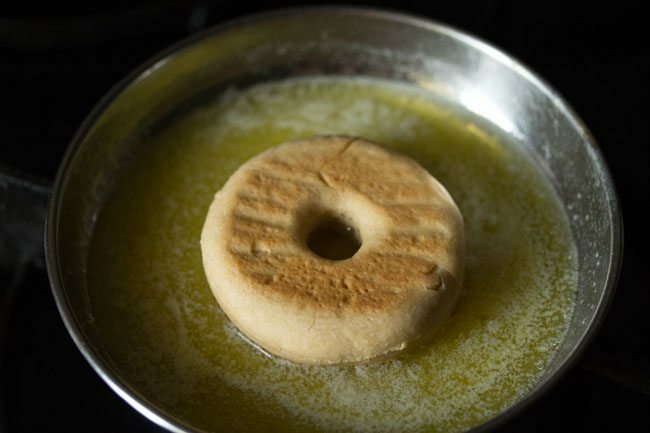 2. place the doughnut upside down in the melted butter. 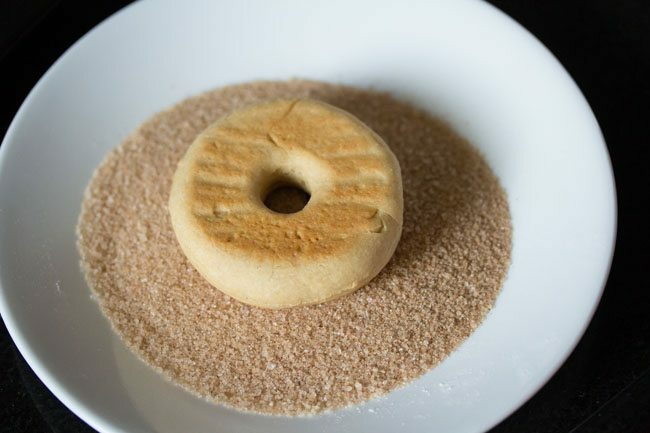 3. then place the buttered side in the cinnamon+sugar mixture and gently move the donut on the sugar mixture so that the sugar+cinnamon sticks to the butter. remove and keep doughnut on the wired rack. 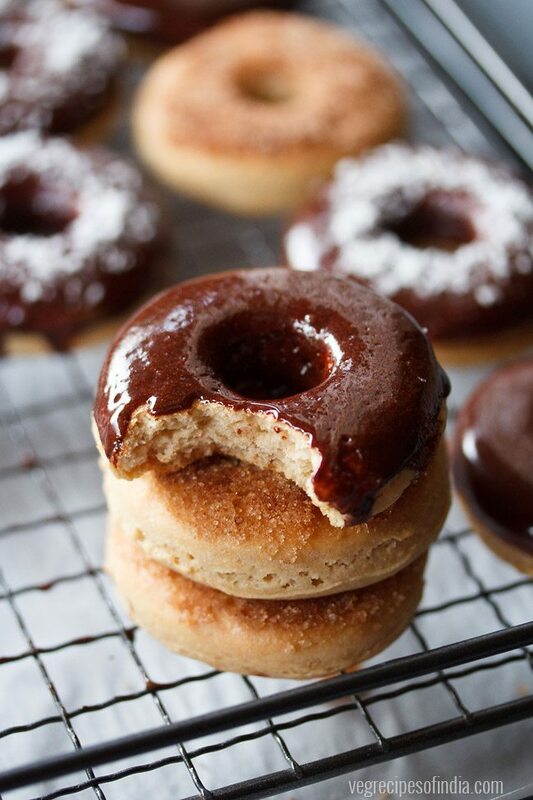 4. for the chocolate glaze, place the doughnut upside down in the glaze. 5. remove and keep the doughnuts on wired rack. 6. i also sprinkled some desiccated coconut on a few chocolate donuts. optional step. 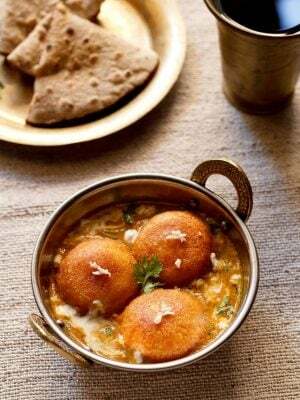 7. serve eggless doughnuts warm or at room temperature. leftovers can be refrigerated. they will become dense once refrigerated. so while serving, you can warm doughnuts in an oven or microwave oven or let them come to room temperature. the recipe makes for 15 doughnuts. hai, i am using an otg, can you tell me the temparature @timer for doughnut. same as mentioned in the recipe. I have been following your recepies for a very long time now. The instructions are so clear which makes me really want to try many more than i can put my hands on. I tried this last sunday after my daughter demanded to eat them and it came out super. Thank you so much. 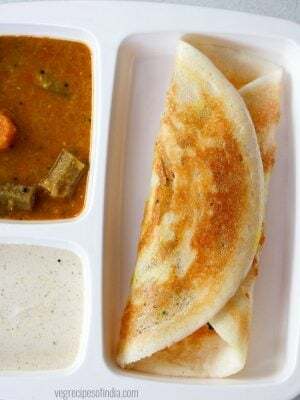 You have been a part of my amazing tryst with delicious foods (i would admit for my daughter). You are my go to person. thank you anupriya. i am glad that the recipe instructions are helping you and also nice to know that your daughter like the doughnuts. thanks again.